A paper by Gary Marks of iP Solu­tions, “Oppor­tu­ni­ties for Demand Response in Cal­i­for­nia Agri­cul­tural Irri­ga­tion: A Scop­ing Study” has just been pub­lished by the Demand Response Research Cen­ter (DRRC). iP Solu­tions is col­lab­o­rat­ing with the Bio­me­te­o­rol­ogy and Atmos­pheric Sci­ence depart­ments of U.C. Davis on a frost pro­tec­tion mon­i­tor­ing sys­tem. A sys­tem pro­vided by iP Solu­tions has just been installed at the UC Davis Camp­bell test site. Tem­per­a­ture and humid­ity data cor­rec­tion is cur­rently being conducted. 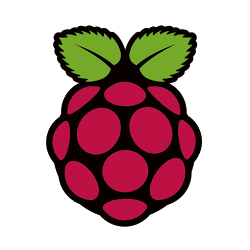 iP Solu­tions has cre­ated a Ser­ial Periph­eral Inter­face (SPI) command-line util­ity for the Rasp­berry Pi (www.raspberrypi.org) plat­form. The util­ity, spincl, is licensed under Open Source GNU GPLv3 and is being offered by iP Solu­tions as a free down­load with source included. 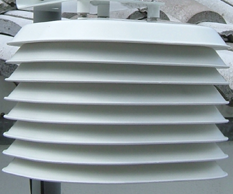 iP Solu­tions has cre­ated a Rasp­berry Pi weather station. The Rasp­berry Pi plat­form employs a Debian Wheezy Linux dis­tri­b­u­tion. iP Solu­tions designed and fab­ri­cated an ana­log and dig­i­tal I/O board to inter­face the Rasp­berry Pi to tem­per­a­ture, humid­ity, baro­met­ric pres­sure and wind-speed sen­sors. Addi­tion­ally, iP Solu­tions cre­ated a sep­a­rate pro­pri­etary tem­per­a­ture and humid­ity sen­sor module. iP Solu­tions joins the Ope­nADR Alliance, which was formed in 2010 to fos­ter the devel­op­ment, adop­tion, and com­pli­ance of the Open Auto­mated Demand Response (Ope­nADR) stan­dards through col­lab­o­ra­tion, edu­ca­tion, train­ing, test­ing and certification. iP Solu­tions brought exten­sive knowl­edge of Embed­ded Linux DSP sys­tems hard­ware and soft­ware to the Nevada Nan­otech Sys­tems (NNTS) project for explo­sive chem­i­cal and radi­a­tion threat detec­tion and analy­sis. The project, CScout, was tar­geted for ship­ping con­tainer security. Pre­vi­ous expe­ri­ence with com­plex embed­ded con­trol and data acqui­si­tion sys­tems enabled iP Solu­tions to imme­di­ately begin con­tribut­ing to this project. The pri­mary goal was to design both hard­ware and soft­ware for using an NNTS Mol­e­c­u­lar Prop­er­ties Sen­sor (MPS) to col­lect, ana­lyze and present explo­sive chem­i­cal vapor threat data. 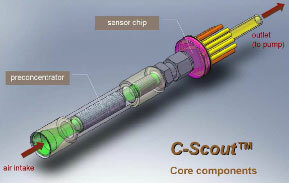 Addi­tion­ally, radi­a­tion spec­trum data was to be col­lected and ana­lyzed for any radi­a­tion threat com­po­nents. This sys­tem was to be con­trolled and results com­mu­ni­cated remotely through a wire­less inter­face, the Mar­itime Asset Tag Track­ing Sys­tem (MATTS). Also, a hard­wired net­work con­nec­tion was to enable more exten­sive main­te­nance and engi­neer­ing modes with web-based and ter­mi­nal based interfaces. Gary Marks of iP Solu­tions cor­po­ra­tion has been invited to join the Demand Response Research Cen­ter (DRRC) Indus­trial Con­trols Experts Group. On Feb­ru­ary 10th, 2011 the group met to con­sult on a study, “Assess­ing the Con­trol Sys­tems Capac­ity for Demand Response in Cal­i­for­nia Indus­tries”.